Essex | essex | Extra Firm | Jonathan Steven Mattress Co. The Essex is one of our firmest models in the Regent series and offers optimum unyielding support. Many people enjoy the feeling of a really solid mattress. The Essex is the answer for both firmness and quality. We start out with our robust continuous coil, ComfortFlex Innerspring which provides superior support for two individual sleepers by using as much of the row of coils as necessary to keep each sleeper supported in their proper position. We use a layer of substantial cool gel foam along with a hard layer of 2.4# density, very hard 45# ILD premium polyurethane to give you a secure yet comfortable sleeping surface. Our cool gel technology provides you with a cooler sleeping surface while offering you Stay Fresh® technology that maintains its freshness. 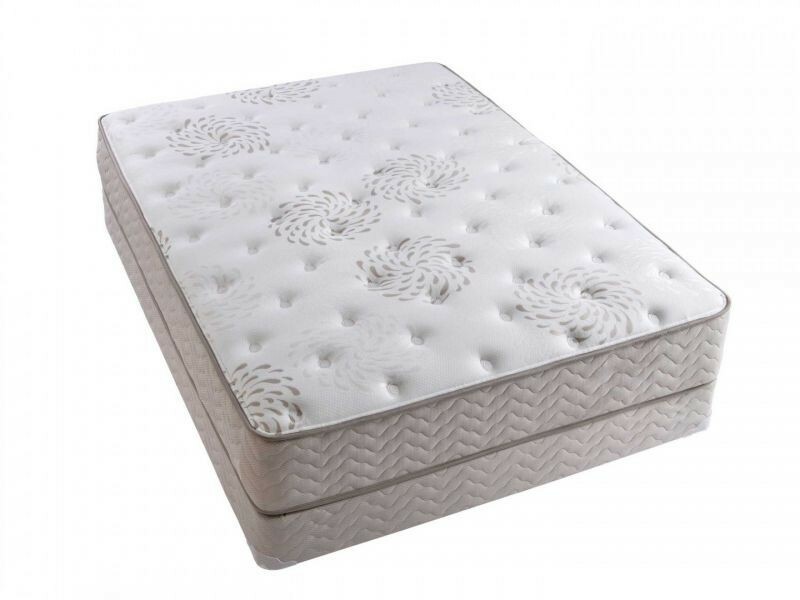 There is a sturdy layer and a soft layer of cushioning material quilted into the cover, completing a great mattress that is comfortable and firm, all in one great sleep set. More information here. The finest mattress made for the most comfortable night's sleep that you can imagine. 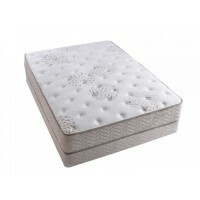 Continuous coil innerspring system for optimum support with edge to edge coverage for maximum sleeping area. Additional layers of premium density cushioning material and specialty foams, including Visco memory foams. To best take care of your mattress set, ensure its long-life and preserve your warranty rights, please follow these Do’s and Don’ts of bedding care. Give your new sleep set time to “air” upon removal from its plastic packaging. A new mattress set may have a “new set smell” which will dissipate over time. Properly wrap your mattress and carry it on its side when moving it. Keep your bedding clean. We suggest using a protective mattress pad to avoid stains. 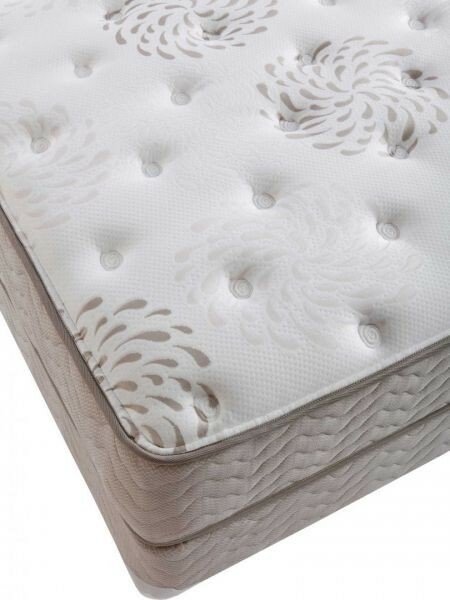 Washing your mattress pad and vacuuming your mattress every month will help keep your set in a sanitary condition. Your warranty will be voided if the mattress is stained and/or is in an unsanitary condition. Rotate your mattress to ensure even wear over the entire sleep surface. We recommend rotating your mattress at least 4 times per year. Use an appropriate frame and center support for Full, Queen and King sized sets. King and Queen Sets should be supported with a bed frame that supports head, foot sides and the center of the set with a rigid center support that has legs extending to the floor. Don’t place your mattress near an open flame or expose to fire. The mattress is not flame – nor fireproof, and can ignite and/or burn if exposed to open flame or fire when ignited. Some bedding material can burn rapidly and emit smoke and hazardous gases. Don’t smoke in bed. This mattress is manufactured as required by federal law to resist, but not necessarily eliminate, ignition by smoldering cigarettes. Don’t let anyone stand or jump on your mattress. Don’t allow your mattress to get wet. Protect it from liquids with a proper mattress pad. Don’t place a board between your mattress and box spring. 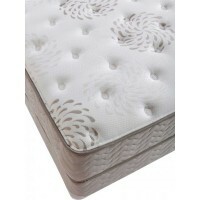 Your sleep set is designed specifically to provide you with proper support, and the foundation plays an important role. If you think a board will help, this could be a sign that your mattress set is wearing out. Don’t bend your mattress. Flex it when going through doorways. Don’t use dry cleaning fluid on the mattress or any liquid cleaning fluids. These chemicals can/will damage some of the construction materials. 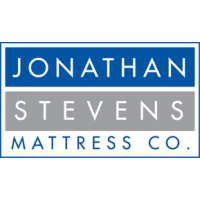 JONATHAN STEVENS MATTRESS COMPANY (“Company”), 995 36th Street, SE, Grand Rapids, Michigan 49508 warrants to the original purchaser for a period listed above, that it will repair or replace, at his or her option, any Company mattress/foundation which proves to be defective due to faulty workmanship or materials (other than covers or handles), if such a defect occurs during normal use. Repair of the mattress/foundation does not extend the duration of this limited warranty or begin a new limited warranty period. This warranty does not cover the cost of transportation or removal and installation of the mattress/foundation. Purchaser at his/her expense shall return the product to the factory for inspection and any warranty work. Company does not warrant against normal wear and tear or the natural softening of the mattress/foundation. Purchaser agrees that the mattress/foundation will be given reasonable care, proper support and be kept in a sanitary condition. Queen and King Sized mattresses/foundations must have proper support with a center supporting rail system. All inquiries and request for service under warranty must be made promptly to the store where purchased, with an explanation of the claimed defect or problem and proof of purchase date. Company reserves the right to inspect the product to determine whether there is a defect covered under the warranty. Company reserves the right to refuse service when, upon inspection, the product is found to be in an unsanitary condition or when product failure is due to causes other than defective workmanship or materials. Abuse, misuse, neglect or unsanitary conditions void this warranty. Purchaser understands and agrees that the sole obligation of Company is to repair or replace the defective part, or at seller’s discretion to refund a portion of the purchase price if repair or replacement cannot remedy the defect. Company reserves the right to substitute materials of comparable quality. ANY IMPLIED WARRANTY OF FITNESS FOR PURPOSE OR MERCHANTABILITY IS LIMITED IN DURATION TO THE LENGTH OF THE PERIOD LISTED ABOVE AND IN NO EVENT WILL JONATHAN STEVENS MATTRESS COMPANY BE LIABLE FOR INCIDENTAL OR CONSEQUENTIAL DAMAGES. Some states do not allow the exclusion or limitation of incidental or consequential damages, or a limitation of the duration of an implied warranty, so the above limitations or exclusions may not apply to you. This warranty gives you specific legal rights, and you may also have other rights, which vary from state to state.